Wow, this home is truly a rare find! 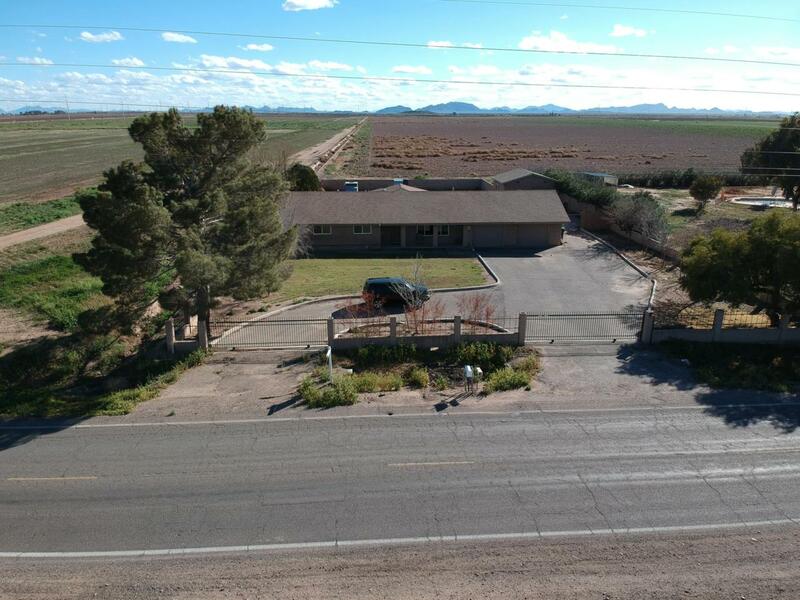 Nearly 2500 square feet all one one level, and the home has an additional casita, PLUS a pool, PLUS a 5 car garage, AND all of that is located on a lot more than 3/4 of an Acre! The lot is fully fenced with gates at the entrance and a massive driveway and circular drive. There is actually garage space in this home for about 5 cars (the main house has a 4 car garage (2 cars wide, 2 cars deep) AND the casita has a one car garage attached to it as well. Interior included formal living and family rooms, a fireplace, bathrooms with tiled showers and massive bath tubs and double sinks. There is also a really cute courtyard space off of the master bedroom. The possibilities with this property are endless!